The half-marathon in Barcelona, also known as the Mitja Marató de Barcelona. 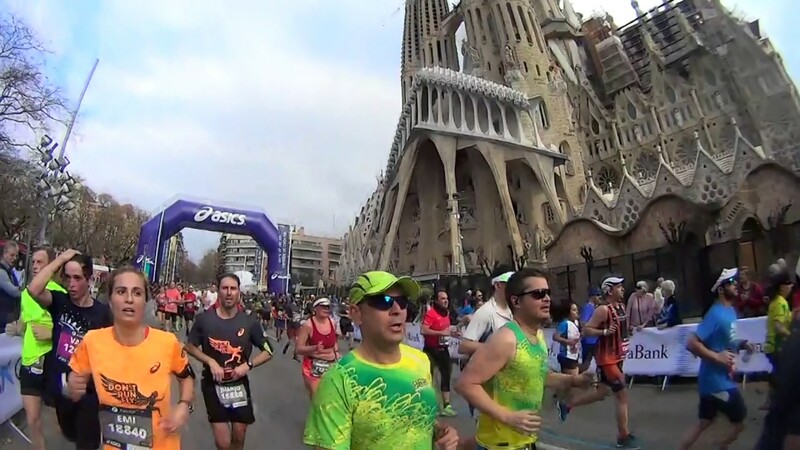 It’s the second largest running event in Barcelona next to the Marathon. The route takes the runners from the Arc de Triomf, by the old town to the Plaça Catalunya. From there it goes down the famous Ramblas and along Avenida del Paral·lel. Then it goes through the modernist Eixample district back to the Arc de Triomf, Parc de la Ciutadella further along the eastern part of Eixample to the Torre Agbar, one of the most striking buildings in Barcelona. 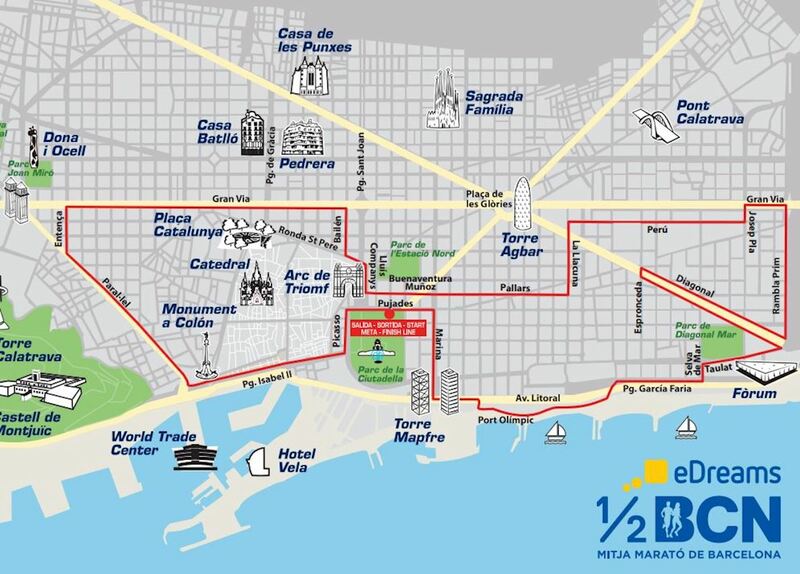 The route takes the runners along the Diagonal then goes to the Fòrum and along the beach again at the Parc de la Ciutadella to Arc de Triomf, which is the finishing line. With this route, a very interesting and varied street circuit is marked out. 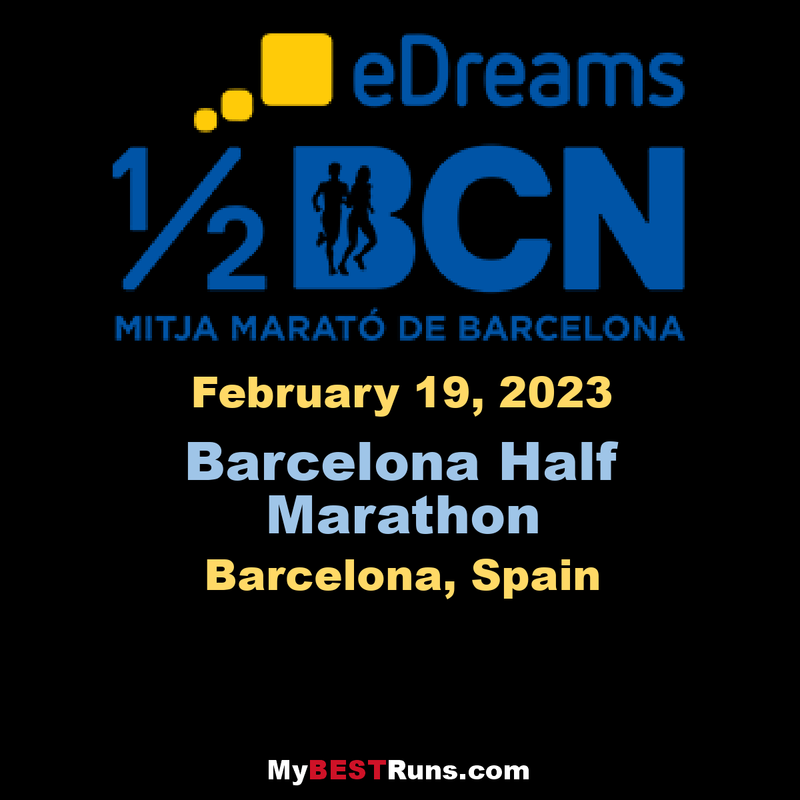 Eric Kiptanui and Roza Dereje raced to victories at the Dreams Mitja Marato Barcelona, road race, on Sunday. 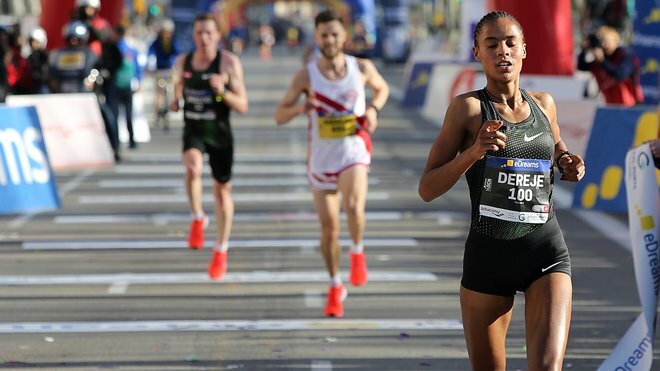 The women’s race had been billed as a serious attack on the world record by the rising star Dereje. She came up short, but still clocked 1:06:01 to clip a full minute from her previous lifetime best. The Ethiopian came within 16 seconds off the national record set by Senbere Teferi in Ras Al Khaimah.